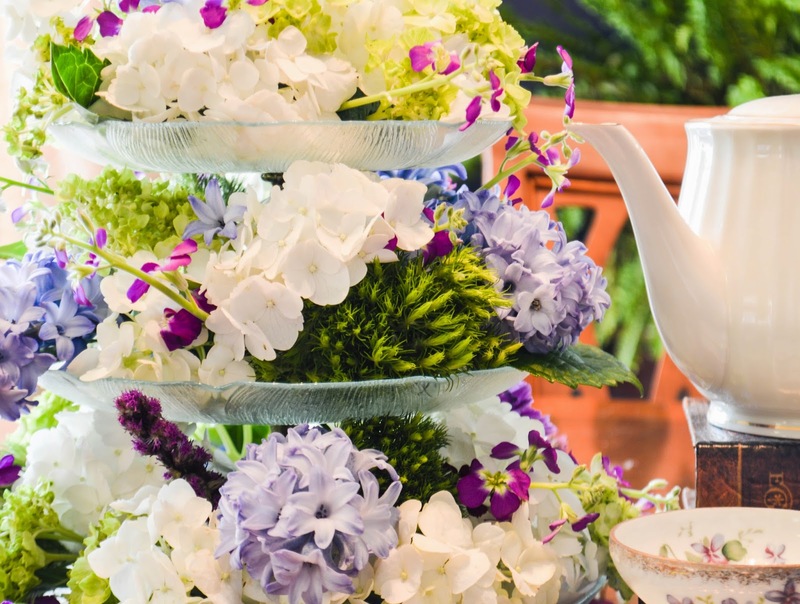 A gorgeous mother's day tea party deserves a gorgeous mother's day centerpiece! I disassembled my tiered tray, cut florist foam to fit each section (slicing a hole in the center to fit over the center post), soaked the foam, and reassembled the tiered trays with florist foam. The next step was to simply cut stems of blooms to around 4 inches and insert into the wet foam, turning the tray 90 degrees every few flowers to ensure even color and shape. 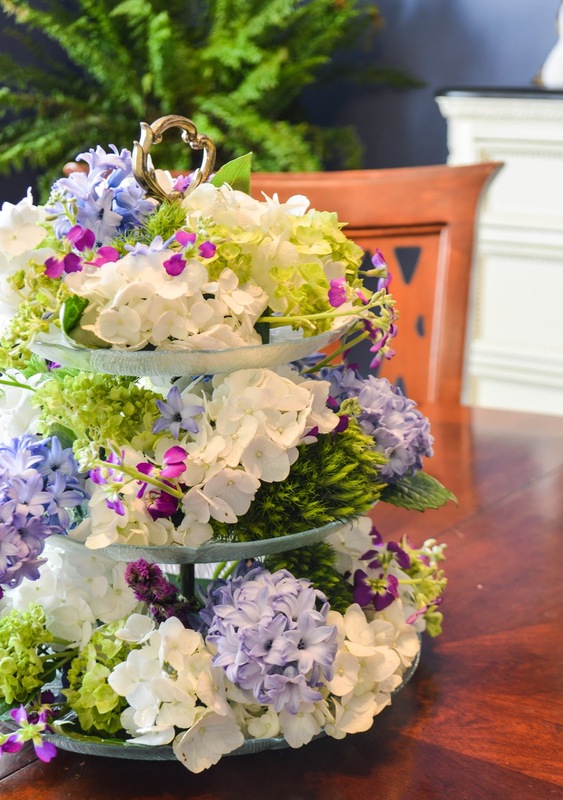 For this project I used full white hydrangea, baby green hydrangea, lavender hyacinth, fluffy green dianthus, and delicate deeply violet wax flowers.